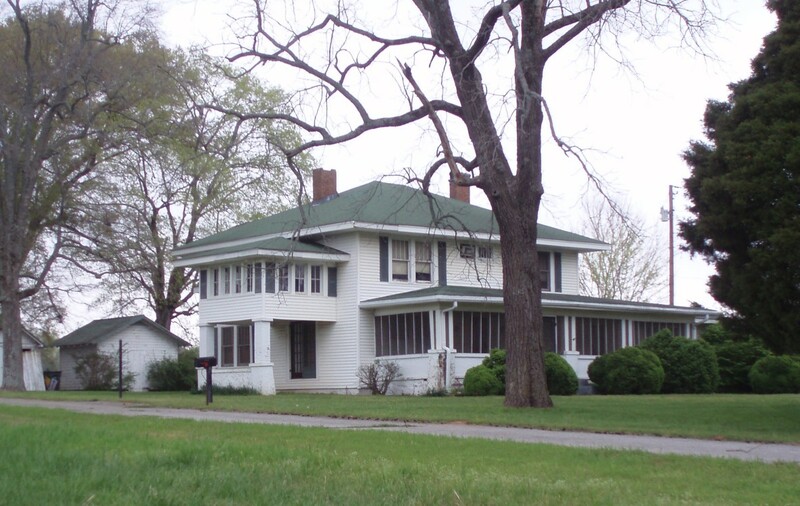 The Pettus Family of Monrovia (near Huntsville) in Madison County, Alabama descends from Colonel Thomas Pettus, who sailed from England to the Virginia colony in late 1630 or early 1631 to settle in historic Jamestown. Most of his descendants remained there in New Kent, Hanover, Lunenburg and other Virginia counties until the early 1800s, when several of them traversed the wilderness of eastern Tennessee to settle in Limestone and Madison Counties in northwestern Alabama. Although some of these early pioneers moved on to Texas, Arkansas and other frontiers, many of them remained in the Huntsville area, and are buried today in forgotten cemeteries hidden on the outskirts of the city. What follows is a brief history of those Pettus family pioneers and their descendants whose tombstones survive, for the most part, in the Douglass-Pettus, Joyner and Pettus cemeteries in the Monrovia and Harvest districts on the outskirts of modern Huntsville. Although not part of the original effort for this website, many family members in the Mount Zion, Maple Hills and Pettusville Church cemeteries are included also. Probably the first of the Pettus family to settle in Alabama were Freeman Pettus (c.1780-1827) and his younger brother William Albert "Buck" Pettus (1787-1844), who came to the Huntsville area as early as 1810, back in the days when it was still part of the Mississippi Territory and only five years after the arrival of the first Huntsville pioneer John Hunt. However, both of them sailed in 1822 to Texas. Their cousin David Walker Pettus II (1780-1852) came in the early 1820's to Alabama with his wife and children. They are the Pettus family of Branch 2 of this lineage. They settled in Monrovia, on the outskirts of modern Huntsville, where they were joined a few years later by David's older brother Thomas Pettus (1779-1854), and his children. They are the Pettus family of Branch 1 of this lineage. 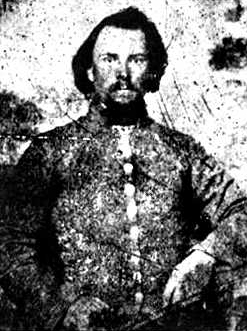 Branch 1 continues with Thomas' son William Rowlett Pettus (1808-1864), whereas Branch 3 descends from Thomas Walker Pettus (1815-1870), who is one of the younger sons of Thomas, Sr.
Col. Thomas Pettus (c.1598-1669) was born in Norwich, Norfolk County, England, and baptized there on Feb. 19, 1598/99 at the St. Simon and St. Jude parish church. He was born into a wealthy, but large family that ultimately grew to include seventeen children, all the progeny of Thomas Pettus, the elder (c.1552-1620) and his wife Cecily King (d. c.1641). The elder Thomas was a draper, who held at various times a number of public offices, including sheriff and mayor of Norwich. He was also the younger brother of Sir John Pettus (c.1550-1614), a Member of Parliament, a wealthy woolen merchant, and an investor in the Virginia Company, with business interests in the American colonies. Although he was only the seventh son, the younger Thomas still received a considerable inheritance from his father of properties in Norwich. However, he killed a man on March 24, 1628 in a street brawl at a New Year's Eve festival, and following his acquittal in 1629 of the murder, he felt it wise to sell his holdings and relocate elsewhere. This led him in late 1630 or early 1631 to sail to Virginia and begin a new life, possibly at the behest of his family. Thomas apparently was preceded in Virginia by at least one sibling, his younger brother Theodore Pettus (b. c.1600), who arrived in 1623 in James City (Jamestown), but of whom nothing further is recorded. Thomas Pettus acquired land soon after his arrival and built a large plantation house, which he named Littletown, at a location on the James River about four miles down river from the Jamestown settlement. He also, in time, acquired the adjacent Utopia Plantation, a nearby tract called the Burnt Ordinary, and some unsettled lands in New Kent County, which was the next county up river from Jamestown. His Littletown plantation house has since been excavated, and the site can be visited at the modern Kingsmill Resort in Williamsburg, Virginia. Although some accounts attribute to Thomas a wife named Elizabeth Mouring, and possibly four children with her, there is no documentation for this in either the Norwich or Jamestown town and church records. However, his son Thomas did marry a woman with the similar name of Mourning Burgh, which might be the source for some of this confusion. Some accounts also claim that Thomas fought in the Thirty Years War, and was sent to Jamestown with 40 men to protect the colonists from Indian aggressions, which earned him the title Colonel. Again, there is little evidence for this either. However, his name does appear in one 1642/43 document as "Capt. Thos. Pettus", when he was serving on the King's Council for the colony and all of the councilors received appointments as captains in the colonial militia. He also appears in a 1652 document as "Coll. Thomas Pettus", when British warships sent by Oliver Cromwell appeared in Jamestown Harbor and fears were raised of a possible confrontation. Thomas Pettus, due to his wealth and family connections, received in 1641/42 an appointment to a life term on the King's Council of State for Virginia, and served until at least sometime after July of 1661, which establishes him as the longest serving member of the council. He is known to have had at least one wife, Elizabeth Freeman (b. c.1608), the widow of Richard Durrent, whom he married about 1638 in Jamestown when he was 39 years old. There is also evidence for an earlier Indian wife named Ka-Okee (a daughter of Pocahontas), with whom he may have fathered four or five children, but this is somewhat speculative. Col. Pettus is known to have had at least two sons - the Stephen Pettus, who follows, and a younger son named Thomas, who inherited his father's Littletown and Utopia plantations. He died sometime between 1663 and 1668. David Walker Pettus I (1755-1805), the son of Col. Thomas Pettus and Amey Ann Walker was born on July 3, 1755 in either Amelia or Lunenburg County, Virginia. He was probably named after his maternal grandfather David Walker. He served with the Lunenburg County Militia during the American Revolution as an ensign, and then in 1802 as a second lieutenant in Capt. Ellison Ellis' company. He married his first wife Anne Whitworth (1750-1802) on Nov. 28, 1776, and shortly after her death married his second wife Elenor or Ellinor Wilson, the widow of Robert Wilson, on Sept. 25, 1802 in Lunenburg County. He died on Nov. 8, 1805, probably in Lunenburg County. Although he is unlikely to have ever ventured out of Virginia, through his pioneer sons who did, he is the patriarch of the Pettus family in the Huntsville-Monrovia area of Alabama. David and Ann had twelve children, including the two sons who follow. Thomas Pettus (1779-1854) who follows in Branch 1 of this lineage. David Walker Pettus II (1780-1852) who follows in Branch 2 of this lineage. ten other children born between 1777-1795 in Virginia. 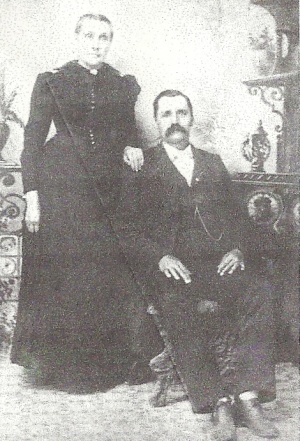 William David Pettus (1843-1905), the son of William Rowlett Pettus and Rebecca Love was born on April 12, 1843, probably in Madison County, Alabama. He served as a private in the 9th Alabama Infantry Regiment of the Confederate Army during the Civil War, and later followed in his father's footsteps by becoming a doctor. He married Ann Dew (1843-1916) on Dec. 23, 1869 in __________; and died on Aug. 13, 1905 in __________________, and both William and Ann are buried in the Douglass-Pettus Cemetery. The children of William and Ann follow. Willie H. Pettus (b. c.1871). Ella H. Pettus (b. c.1875). Mary B. Pettus (b. c.1877). Nora Estelle Pettus (1879-1960) was born on Feb. 25, 1879 in Monrovia, Alabama; and married Edley Dometric Totherow (1876-1952) on Dec. 12, 1905 in Bartow County, Georgia. She died on Oct. 11, 1960 in Gadsden, Alabama and is buried there with Erdley in the Crestwood Memorial Cemetery. Martha E. Pettus (1881-1881) died an infant on Aug. 8, 1891 at the age 2 of months, 9 days in Monrovia, Alabama and is buried there in the Douglass-Pettus Cemetery. Lavina Dew Pettus (1885-1885) died an infant on Aug. 17, 1885 at the age 11 days in Monrovia, Alabama and is there buried in the Douglass-Pettus Cemetery. Thomas Joseph Pettus (1888-1888) died an infant on Aug. 12, 1888 at the age of 11 days in Monrovia, Alabama and is buried there in the Douglass-Pettus Cemetery. Joseph Albert Pettus (1845-1926), Physician, the son of Thomas Coleman Pettus and Mary Catherine Fowlkes, was born on June 8, 1845 in Limestone County, Alabama, posibly near the town of Athens. He served as a Sergeant in the Confederate Army during the Civil War. After the war, he attended Vanderbilt University in Tenneessee, graduating in 1868, and became a doctor. He married Musidora (Musie) Cartwright (1846-1924) in 1870 or 1871 in ______________________. He died at the age of 80 on April 6, 1926 in Athens, Alabama, and is buried with his wife in the Athens City Cemetery. Joseph and Musie had the several children who follow. Maia Pettus (c.1872-1956) was born about 1872, probably in Limestone County, Alabama. She died on Aug. 20, 1956 in Athens, Alabama, and is buried under her maiden name in the Athens City Cemetery. Pierre Pettus (b. c.1875) is known only from the 1880 U.S. Census. Erle Pettus (1877-1960) was born Feb. 4, 1877 in Elkmont, Alabama; and married Ellalee Chapman (b. c.1884) of Huntsville on Nov. 17, 1907, probably in Huntsville. He became a lawyer and later served as the U.S. District Attourney for the Northern District of Alabama. He died on July 6, 1960 in Birmingham, Alabama. Floy Pettus (1880-1962) was born in April of 1880 in ______________, Alabama. She died on Dec. 1, 1962 in Athens, Alabama, and is buried under her maiden name in the Athens City Cemetery. Claude E. Pettus (1871-1931), Physician, the son of Joseph Albert Pettus and Musie Cartwright was born in Elkmont, Alabama on Sept. 12, 1871. Like his father, he attended the University of Nashville, graduating in 1896, and became a doctor. Settling in Hunstville, Alabama, he built a large house on Jeff Road in the Monrovia part of Hunstville in 1902 and married Harriet (Hattie) Florence Seay (1880-1962) in Huntsville on Oct. 31 (Halloween), 1903. He ran his practice in a parlor in the front of his home, with Hattie as receptionist. Some said that this historic house, which once sat at 1120 Jeff Road, was haunted, which apparently resulted in it being torn down in late 2013 so that the lot could be sold. Claude died on Aug. 4, 1931 in Huntsville of tuberculosis; and Harriet died in 1962 in the Jeff Road house. Claude and Hattie had several children who follow. Florence Pettus (1904-1991) was born Aug. 18, 1904 in Huntsville, Alabama and married Warren C. More (1904-1989). She died on Nov. 22, 1991 in Huntsville; and is buried there with Warren in the Maple Hill Cemetery. Claude Malcom Pettus (1906-1973) was born June 17, 1906 in Huntsville Alabama; and married Helen Kelly (1913-1971). He died on Dec. 31, 1973 in Mobile, Alabama, and is buried with Helen in Huntsville in the Maple Hill Cemetery. Louise Pettus (1907-1994) was born Aug. 21, 1907, probably in Hunstville, Alabama. She died under her maiden name on Oct. 14, 1994 in Huntsville, and is buried there in the Maple Hill Cemetery. Harriet Seay "Hattie" Pettus (1915-2000) was born Jan. 22, 1915 in Monrovia, Alabama; and married William Burns Marsh (1910-1968) on Oct. 21, 1936 in Bessemer, Alabama. She died on June 10, 2000 in Montevallo, Alabama. Richard Barr Pettus (1922-2003) was born on Jan. 22, 1922 in the house on Jeff Road in Monrovia, Alabama. He married Florence Louise ______________ (1926-1987) and had at leat three childreen. He died on Sept. 26, 2003 in Hunstville, and is buried there with Louise in the Maple Hill Cemetery. Various members of the Pettus family were among some of the earliest settlers to arrive in the Hunstville area, which is named after John Hunt, who in 1805 moved his family into small cabin near the so-called "Big Spring" that today is at the heart of the city. Alabama did not yet exist as a state in 1805, and was still part of the Mississippi Territory. Madison County, which was located along the northern frontier of this territory, covered more than twice the area that it does today, and included all of modern Limestone County as well. No one of the name Pettus appears in Madison County in an 1809 Federal census for the territory, but land records from 1810 to 1812 show that William, Freeman, and John Pettus had all acquired land in Madison County by then and presumably were living in the county. William Pettus (1787-1844) and his brother Freeman (1780-1827) were probably the first of the family to arrive in Alabama, when in 1810 they picked up 320-acre tracts of land in the Huntsville area in sections 23 and 11 of T3S-R2W along Indian Creek, which runs through the district known today as Monrovia. About this same time, their distant cousin John Pettus arrived from Virginia by way of Tennessee, and picked up 160 acres located six miles to the east of them in the Drake Mountain area of northern Huntsville. Although William and Freeman Pettus by 1823 had left Hunstville and moved on to Texas, their cousin David Pettus (1780-1852) arrived about this time from Virginia, and a few years later was joined by his brother Thomas Pettus (1779-1854). They occupied 160-acre tracts of public lands in sections 7 and 17 along the modern Wall Triana Highway to the west of Indian Creek. They were subsequently allowed as pre-exisiting occupants to claim these lands from the Federal Government in 1834 and 1835 for $1.25/acre. Later, their descendants purchased and inherited more land in sections 9 and 10, in the area of Pettus and Douglass Roads. Although Thomas and David Pettus are the subjects of main interest, their distant cousin John Pettus was also an early Madison County settler. As noted above, he initially picked up tracts of land in 1810 in the Huntsville area, but ultimately settled with his family 25 miles west of Huntsville, picking up at least two 160-acre parcels along Limestone Creek in modern Limestone County during an 1818 government land sale. One of John's sons, John Jones Pettus (1813-1867) was born in Tennessee, yet became governor of Mississippi during the early Civil War years. Another son Edmund Winston Pettus (1821-1907) was probably born on the family homestead on Limestone Creek, which would have been a little more than 6 miles directly southeast of Athens, Alabama. He became a confederate general during the Civil War, and many years later served as a U.S. Senator from Alabama. Like their cousins David and Thomas Pettus, John and Edmund Pettus descend from Col. Thomas Pettus (c.1598-1669), but along an entirely different line that is summarized as follows. Located behind some warehouses on a tree-covered hill about 300 yards southwest of the intersection of Wall Triana Highway and Nick Davis Road, this is the oldest of the cemeteries, with some graves dating back to the 1820s or earlier. It is also the most neglected and vandalized, with most of the tombstones broken, and many graves unmarked. Although named for the Joyner family, most of the graves here are actually for members of the immediate family of David Walker Pettus. A tombstone transcription exists, and photos of the surviving tombstones have been entered into . Located in the woods near the intersection of Hillsgate Drive and Dunloe Drive, this cemetery has several tombstones, but many are broken and fallen over, and some graves are unmarked. It has not been used for many years. As a consequence, there is a thick layer of dead leaves on the ground and a lot of poison oak. Photos and transcriptions of the surviving tombstones have been entered into . Located at 28929 Pettusville Road in Elkmont, Limestone County, Alabama, about 25 miles northwest of Huntsville, this is a churchyard cemetery that contains many early settlers of the area, as well as the graves of town founder Thomas Coleman Pettus, his wife Mary Fowlkes, and several of their descendants. It is also an active cemetery with many recent burials. Photos and transcriptions of all of the tombstones have been entered into . Located near Horse Pin Place Road in Huntsville, Madison County, Alabama. this small cemetery is hidden in a wooded area that is completely surrounded by houses. Unfortunatey the only way to get to it is to go through someone's backyard, which is difficult to do as many of the residents have dogs. Fortunately photos and transcriptions of most of the surviving tombstones have been entered into . Also, photos of many of the tombstones can be found on another site at Vasser-Pettus Cemetery on RootsWeb.com.